Mission Integration team members have spent the past six months compiling data for the 2019 Community Health Needs Assessment. In February, the 2019 Key Informant Survey was distributed to more than 600 community agencies and partners, including physicians, across the Arkansas market. 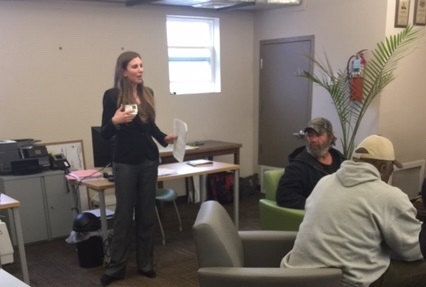 Throughout the month of March, the team hosted a series of focus groups with local community members to gather information on health priorities and community outreach needs across our market. This included meeting with individuals at local churches, schools, senior centers, businesses and resource centers. The survey and the focus group findings drill deeper into key factors around community health and solicit additional feedback that will ultimately inform our outreach efforts for the coming three-year cycle. The 2019 Community Health Needs Assessment manuscript will be completed, approved and publicly available on the CHI St. Vincent website by June 30, 2019. Click here to view assessments from previous years. Our community outreach efforts are focused in two key areas. The first is our 2019 Community Health Needs Assessment. The initial data collection process has been completed, and the group will begin working on aligning their findings with what the local communities identify as the most significant health needs. The second part of the work centers on accelerating our community partnerships in our local communities to increase our outreach efforts. To do that, we have established a new impact team titled Community Health Outreach and Improvement Council (CHOICe). The team reports up through our Impact Team Steering Committee and will focus our outreach efforts to define a more significant impact in our local communities. The goal is to focus our efforts on community health needs identified by the current CHNA process. This group will also help us to streamline our community service efforts so that we avoid duplicate or overlapping efforts that could ultimately reduce our impact overall. To learn more about our evolving outreach efforts, contact Deb Roybal, VP of Mission Integration.